It’s the week of your wedding and the countdown begins. Your thoughts are racing. Have you thought of everything? The wedding week can be extremely busy and scary at times for the bride, groom and their families. At this stage, everything seems to be set – but you know there’s still so much more to do. You want to chill out and beat the stress but feel you don’t know how it’s possible. Well, we’ve added some stress busters to our Bridal to do reminders to help keep you serene and focused on your wedding week. We couldn’t cover everything imaginable and some may not apply to your situation, but this list will get you started and hopefully keep you calmer. Detailed Lists for All: Does everyone have a list? Did you or your wedding planner give everyone in your party a list of what they need to do before the big day and on your big day? This is very important to make it easier for all and to take the stress off of you. Relaxing Tip: Laugh or Cry. Or do Both. LOL Great stress relievers. Take Care of You: Did you make your final hair, nails, eyes and makeup appointments? Well Being Ideas: Book a Massage. Enjoy a Jacuzzi or Sauna. Make your favorite beverage. Sleep: Try as best you can to sleep enough the week and night before the wedding. Imagine this: You received all the sleep you need. You are very relaxed, poised, feeling beautiful. Exercise Daily: You may think that you don’t have enough time or it will be too much effort to exercise. However, simple stretches or a brisk walk can be a life saver. Positive Thoughts: Exercise is my friend. It will help me feel relaxed and focused. Rehearsal Dinner: Perhaps another family member is planning a rehearsal dinner. If so, be sure to confirm all the details. Or if you’re having it, make sure all the details are finalized. PS Did you plan your outfit and hair for the dinner? Visualize this: Everything will work out beautifully on your rehearsal and wedding days. Picture in your mind everyone happy and smiling. Rehearsal Dinner and Wedding Toasts: Will you, the groom, family or friends be toasting at the rehearsal dinner? If so, are these toasts written prepared? Imagine this: Happiness surrounds all as you and your man give and receive heartwarming toasts. Bridal Party Beauty Appointments: Make sure they are booked for the night before for all the bridesmaids, flower girls, mother, mother-in-law. Visualize this: Everyone looking their best ever! Precautions: It is advised by wedding planning experts that you do not have a facial on the week of the wedding or use any new perfumes, creams, etc. Also, perhaps you shouldn’t try new foods or drinks the week of the wedding as you could possibly have a reaction. Positive Thoughts: All will be well on the day of my wedding and beyond! Venue: Have your wedding planner, day-of coordinator or assistant double check with all the vendors to ensure that everything is set and that they have the exact time of everything. Happy Thoughts: Everything will turn out perfect. General Relaxing Tip: Breathe! Take a moment to sit and try to clear your head. Hopefully, up to this point, you have been giving yourself a few moments in the morning, afternoon and evening to unwind to just sit, meditate and breathe deeply. Relaxing breaths can help revitalize you and keep you focused. Bring Extra: Shoes, stockings, hair accessories, jewelry, hairpins, safety pins, stain remover, band aids, nail file, hair spray, pain killers, women toiletries, tiny sewing kit, extra makeup etc. Imagine this: You planned everything perfectly. Everything is perfect! If not, it’s OK. Somehow everything works out. 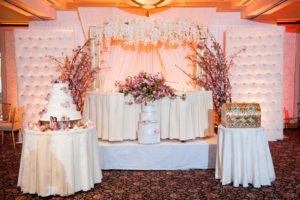 Floral Arrangements, Venue & Ceremony Décor: Your assistant or wedding planner will be sure to finalize all the floral arrangements, décor, bouquets, corsages, stage, carpet, etc. at the venue, ceremony etc. Visualize this: Your floral decorator and you have chosen the most glorious flowers, centerpieces, bouquets, corsages etc. It is like walking in paradise. 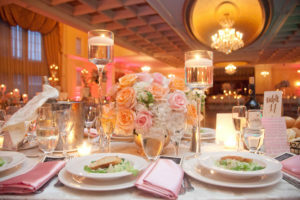 Venue Catering: Your assistant or wedding planner will finalize the details for all the catering, food, drinks etc. Positive Thoughts: Everything is totally under control. All major and minor details will be handled flawlessly. Ceremony at Venue, Church, Temple etc. : Is everything decided? Songs chosen? Singer notified? Ceremony booklet created? If at a Church, who brings up the sacramental gifts? Are the readings chosen and readers informed? Final walk through date setup? Relaxing Tip: My wedding ceremony will be spiritual, uplifting and everyone will be joyous. Limousine Ride to Church, Temple or Venue: Is everyone notified who will be sitting in the limo? Are the Snacks, Drinks and Music chosen? Visualize this: Everyone will be elated and thrilled to be part of our wedding. Bubbles or Birdseed etc. for Ceremony: Are you planning on using bubbles, birdseed etc. for throwing after the service? If so, have you or your wedding assistant received the items? Imagine this: Everyone ecstatic after your wedding ceremony either blowing bubbles, throwing birdseed etc. You did it! Yay Now off to the incredible wedding celebration! Photographer: Do they have a list of the names of everyone that is in the party? Have you given them a list of certain shots that you want taken? Visualize this: Everyone looks amazing. Your photographer has chosen the best angles and backgrounds for everyone. Memories to cherish a lifetime. Videographer: If the videographer is separate from the photographer: Do they have a list of the names of everyone that is in the party? Have you given them a list of certain videos that you want taken, angles etc.? Imagine this: The videos capture the beauty and joy of you, the groom, family and friends at the wedding. Everyone is having so much fun. Precious moments to relive forever. Be Sure to Delegate: Delegate any last minute, hard to find time tasks to your Wedding Assistant, Planner, Maid of Honor, Bridesmaids etc. Visualize this: Everyone will be happy and work in unison. Your Guests & RSVP: Have you finalized the head count? You know everyone that is coming or unable to attend? The list is given to the wedding planner or caterer? Positive Thoughts: Everyone is attending that is supposed to be here. All will work out divinely. Place Cards: After the head count is finalized you will have the seating diagram finalized and the place cards made. Happy Thoughts: Everyone will be thrilled with the seating arrangements, poised to have a fabulous time. Wedding Vows: Have you and your fiancé written and rehearsed your vows? Imagine this: You practice together building up the suspense and joy for when the real day comes. Groom: Is everything finalized: Tuxes, final fitting, Rings, friends, relatives etc.? Positive Thoughts: My fiancé, family and friends have got this! Everything will come together. Clean Home: If you can, hire someone to do your laundry and tidy up your home. Picture this: My home is sparkly clean and laundry all washed. Relatives & Friends Accommodations: Are all the accommodations set for all visiting relatives and friends? Relaxing Thoughts: Their accommodations are perfect. Everything is in its place. Everyone is happy. Welcome Baskets: Design fun welcome baskets to be placed in the hotel rooms for your family and guests. Have flowers, special coffee and tea packets, drinks, fruit, desserts etc. Picture this: Your family and friends loving the baskets and so appreciative of your kindness. Favors: Are the favors picked out, delivered to the venue? Imagine this: Each guest looking at their favors and saying how unique and thoughtful they are. Bridal Party Gifts: Have the gifts you ordered for the maid of honor, bridesmaids, mother of the bride, your Dad groom’s parents etc. arrived and ready to give? Positive Thoughts: Everyone is so amazed at your thoughtful gifts. There mood is elevated. Final fitting: So it’s now time for your final fitting. The time is now to let the excitement flow. Visualize this: This is it, you’re the best you can be. When you walk down the aisle your family and friends we’ll see how breathtaking you are. And when you reach the end of the aisle, there will be the love of your life waiting there with a loving heart. Gratuities and Final Payments Have all the gratuities and final payments been calculated and set aside for the minister, priest or rabbi, venue, wedding planner, wedding assistant, florists, limousine driver, photographers, videographers etc.? Will you be able to pay them in advance? Positive Thoughts: All the planners, caterers and producers of my wedding have been paid and are very happy. Wedding Rings Delivery: Are the participants chosen and the stages for giving the rings rehearsed and finalized? Are they in a safe place? Imagine this: The wedding guests looking on with loving anticipation as you look into your husband to be’s eyes and he yours. He slips the ring on your finger as he says his vows then you do the same. What a beautiful, cherished moments these will be. 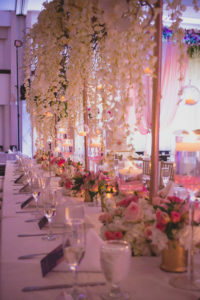 Last minute for Venue: If you’re not able to deliver everything the night before, make sure that your wedding assistant or planner brought everything early to the venue like the place cards, the envelope box, extra decorations, guest book, cake knife, toasting glasses, bring presents etc. Have them do a final check that everything is in order. Positive Thoughts: I have complete trust in my wedding planner and/or assistants to make everything is beautiful and stress-free. Marriage License: Make sure that your marriage license is signed correctly and assign a wedding assistant to hold it on your day ensure it’s signed correctly and isn’t lost. Relaxing Tip: Everything will be perfect and divine. Social Media Postings: Assign someone as your social media assistant. Someone who will be responsible for posting and will do some Instagram or Facebook stories, live and standard videos. Visualize this: My Social Media assistant will know exactly what to do in terms of posts, live videos, videos. Instagram and Facebook stories etc. Everything will be exciting and fun. Hydrate & Eat Properly: Make sure that you drink a lot of water the week of your wedding to ensure that you will not be dehydrated or tired. Also make sure that you have snacks like fruits, vegetables, some yogurt etc. so that you are strong and ready for your big day. Positive Thoughts: I will eat and drink enough to ensure that I am healthy, happy and strong for my wedding day. Future Spouse Quality Time: Spend some quality time with future Spouse. Visualize this: Spending time walking around your favorite park if possible or just having a quiet dinner. Talk about the joy of the upcoming wedding and honeymoon and not on any stresses. After Wedding Reception: Make sure that your wedding assistant or planner with bring home the extra decorations, guest book (if bride forgets), cake knife, toasting glasses, presents etc. Have them do a final check that everything is taken. Positive Thoughts: I have complete trust in my wedding planner and/or assistants to make sure nothing is lost. Thank you cards: make sure that you have received your thank you cards and that everything is correct i.e spelling, size of card, font, style, quantity etc. as ordered. Joyful Thoughts: All the thank you cards will be ordered and will be perfect. Finalize your Day Job: Make sure everything is squared away at your work. Projects finished or assigned to a colleague, emails answered, clients informed of your return date and whom to contact in your absence. Imagine this: Your clients and colleagues are all notified, know who to contact in emergency (not you 😊) and are thrilled you are getting married. Pack for Honeymoon: Did you pack all the necessities for your honeymoon? Picture this: Everything is completely packed and you and your new hubby are ready to have the time of your life. See our soon to be released blog on: What To and Not To Bring on Your Honeymoon. Congratulations from all at House of Dipali! 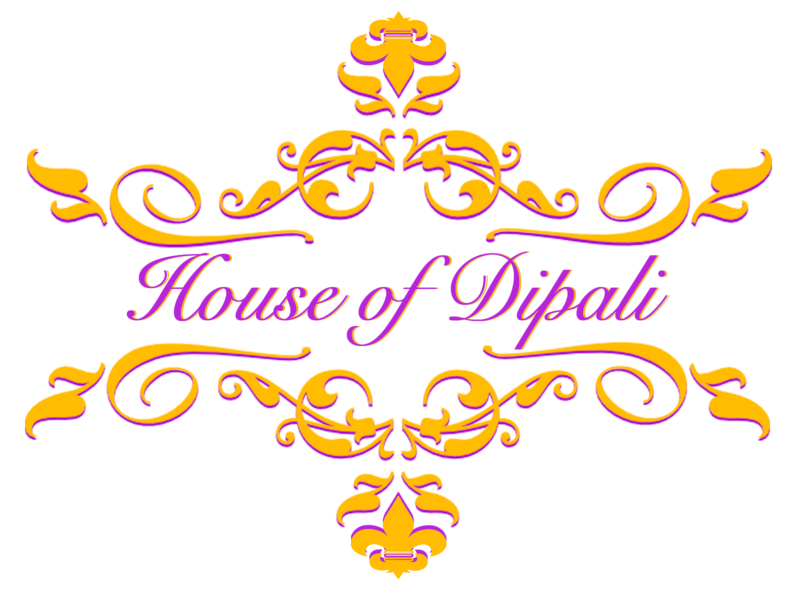 House of Dipali is the leading name in elegant events, creative design and exquisite decor, in the Northeast and Florida. 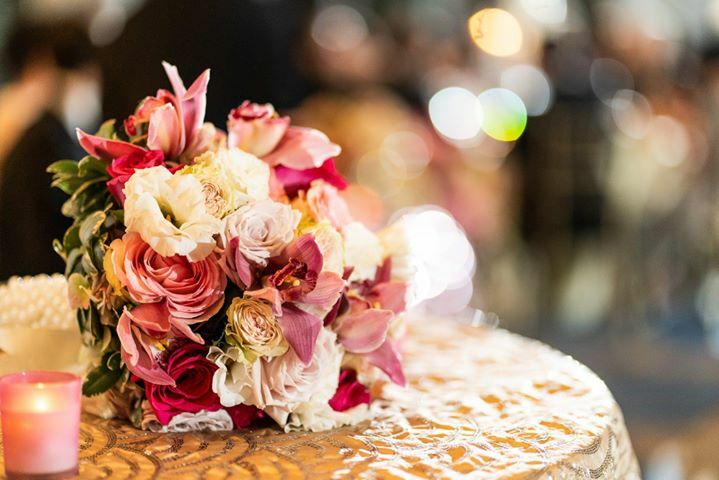 Our team of amazing designers and in-house florists will help you create your special day and bring your ideas to life. Call us today at 718-343-3700 or schedule a consultation.